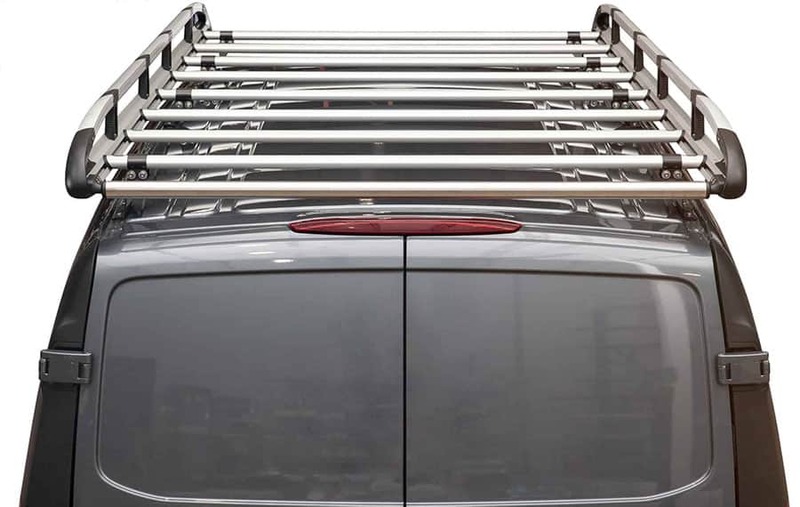 Do You Know the #1 Safety Feature for Cargo Vans? Vehicle partitions keep drivers safe in unexpected situations. At Ranger Design we like to say that our products are “the perfect fit for your toughest job”. It’s a slogan that we developed in no small part because of the feedback that many of our satisfied customers have given to us. We test our products (crash testing our vehicle partitions) to ensure that they’re to the highest standard and will perform for years to come. It’s great to hear a success story from one of our customers where a Ranger Design product saved the day. In this case, not only did it save the day, but it saved someone from injury. It saved the employer from having to file an insurance claim for an injured worker, and it saved the company from being short staffed or behind schedule because an injured worker had to take time off. Rob, the Sales & Service Manager with Lubecore, let us know that they had an aluminum Contoured Cargo Van Partition installed in their 2014 Ram Promaster by Transform early in 2015. One clear day in mid-December their service technician was on his way to a call, when suddenly out of nowhere a car pulled out from between some parked cars. With the van traveling at 30mph and zero time to react, the front of the vehicle slammed into the car ahead and stopped dead. In the back of the van was a large tool box that was bolted to the floor. According to Nic, the Service Technician at Lubecore, the box was filled. He estimated that “there was well over 300 pounds” of tools and fittings in the box. Upon impact, the bolts securing the tool box to the floor sheared, and the heavy box pivoted and swung violently into the vehicle partition. Imagine a 300lbs sledgehammer swinging at 30mph and you’ll get a good idea of the force of the blow to the vehicle partition. Absorbing the full brunt of the impact, the aluminum partition held strong and did its job. 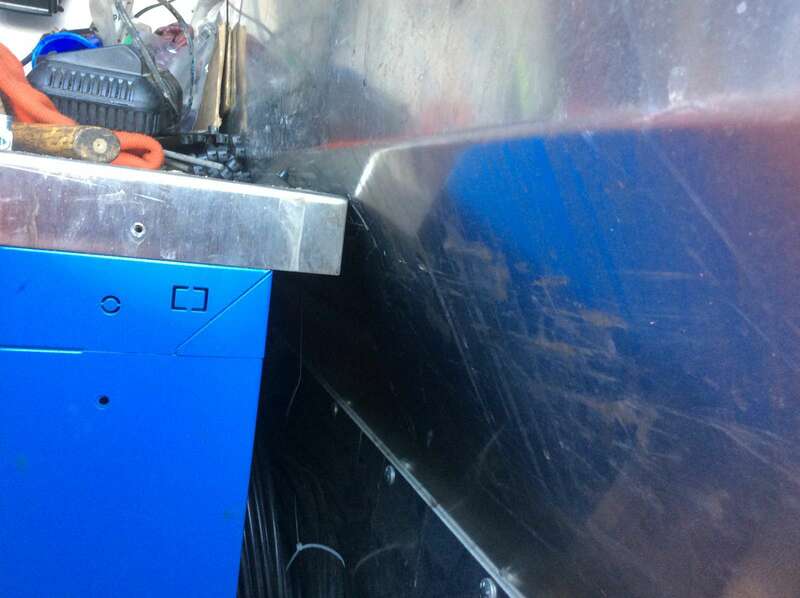 It didn’t allow any part of the heavy tool box to enter the cab area and the driver was not injured. When asked to describe the damage, Nic said “the partition itself was slightly dented and scratched and some of the mounting points had pulled from the van wall, but overall it looked relatively undamaged”. Nic was shaken by the accident, however he was able to drive away and finish his day. Understandably he feels that had there been no bulkhead divider in the vehicle, the outcome would have unfortunately been very different. Reducing risk of injury and keeping staff safe is the key reason why companies invest in high quality vehicle partitions. Rob is clear when asked if he would recommend vehicle partitions to others; “Absolutely. It’s a necessity to keep all of our field staff safe” and he stated that all of the company’s service vehicles are equipped with vehicle partitions. The cargo van was sent to a professional body shop to have the collision damage repaired and to have the bulkhead replaced. In spite of the little visible damage, it is always recommended to replace vehicle partitions in the event of damage sustained in an accident. This story is a small testimonial not only to the strength of Ranger Design products, but to what can be saved by investing in equipment that can protect your staff or yourself in the event of an accident. 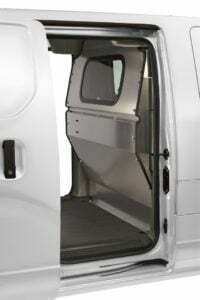 A properly upfitted cargo van also works to help people work more efficiently, saving time and money in the long run. 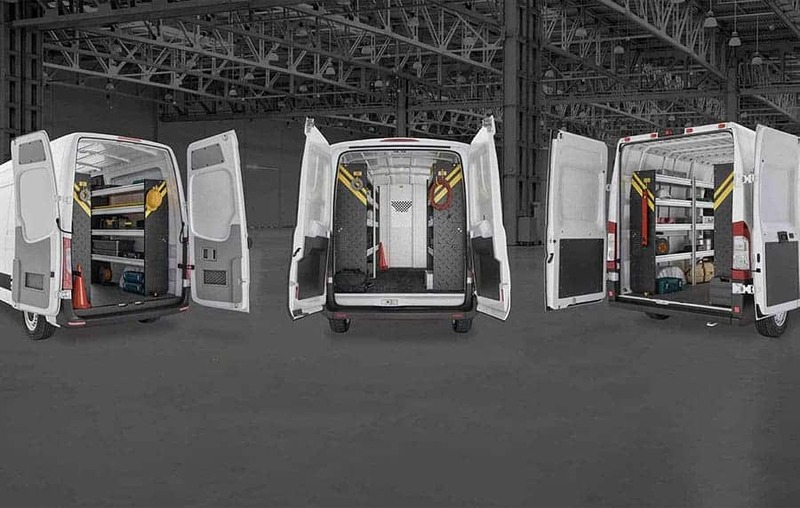 Ranger Design cargo vehicle partitions come in a variety of styles and are available in steel, aluminum and light weight composite materials for all models of cargo vans. 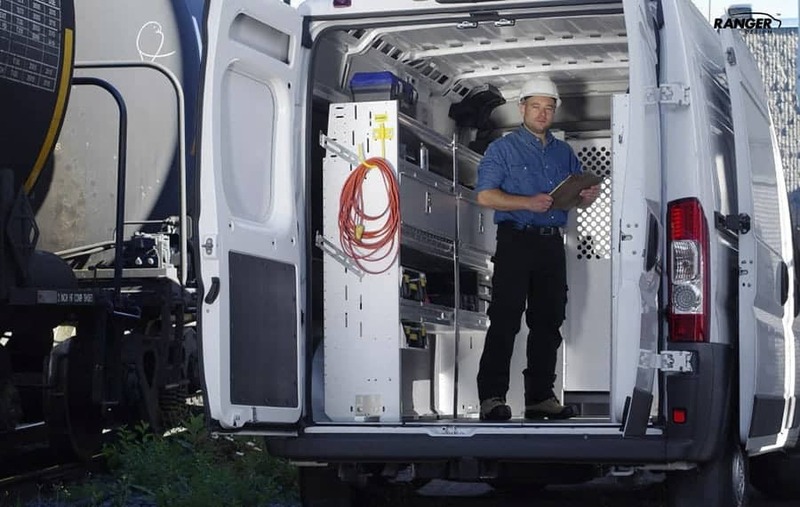 Contact Ranger Design today and improve the safety and efficiency of your van or fleet. Call (800) 565-5321, contact us, or get a quote today. We count on you to help us tell our story. If you have an example of how a Ranger Design product has helped you, share it with us.